The MIAA A Conference baseball tournament took up residence in Aberdeen on Wednesday as both games in the double elimination tournament were played on the synthetic turf of the Yankee Stadium field at the Ripken Complex, because of the heavy rains which rendered the diamonds at John Carroll and Archbishop Curley unplayable. The elimination bracket game between second-seeded John Carroll and fourth-seeded Loyola was played first and Dons (15-10) pulled rank on the Patriots (20-6) , winning 8-2 to fight on in the double elimination tournament. Loyola will now host Gilman, which lost a 4-3 nail-biter to top-seeded Archbishop Curley in the winners’ bracket final. 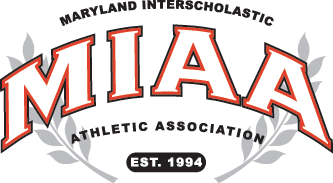 Curley has now advanced to Sunday’s final at Harford Community College, where the Friars will face the Loyola/Gilman winner. Loyola broke on top in the second inning when Jeff Snider’s pop fly to left was mishandled for an error, allowing Chris McDonald, who had singled to start the inning, to race home from second with the game’s first run. After a walk to Emmett Reynolds to load the bases, Dom Dinoto drew another walk to drive home the Dons’ second run. John Carroll starting pitcher Hunter Tipton prevented further trouble when he got AJ Holcomb to ground into an inning ending double play, but the Dons doubled their lead in the top of the fourth on RBI singles by Dinoto and and Holcomb. The Patriots threatened in the bottom of the third when Grant Astle singled, stole second and moved to third on an infield groundout. Ryan Archibald was then hit by a pitch and also stole second to put two in scoring position with one down. Holcomb, however, got Nick Collier to pop out to shallow right and Tyler Blittersdorf to ground out to first to end the threat. John Carrolll also got two runners aboard in the fourth and once again, Holcomb pitched out of trouble. His shutout string ran out, however, in the fifth when Johnny Galant walked to start the inning and was quickly chased around the bases with an RBI double by Archibald. Archibald then moved to third on a fielder’s choice groundout by Nick Collier and came home with the Patriots’ second run when Tyler Blittersdorf lifted a sacrifice fly to center-field. Loyola responded immediately in the top of the sixth with another RBI single by Dinoto. Jeff Snider, who was 3-for-4 with a double, got things started with a one out single and then stole second. After two were down, Dinoto drilled a hit to center and Snider came around to score, putting the Dons up, 5-2. John Carroll kept battling as Matt Rodriguez and Stelio Stakias walked to start the sixth. Hock moved both runners up with a sacrifice bunt, before Holcomb struck out Astle. Galant, however, drew Holcomb’s third walk of the inning to load the bases for Archibald, the Patriots’ most dangerous hitter. Loyola coach Mike Kelly made a gutsy call to stay with Holcomb and on a 3-2 count, he got the lefty slugger swinging to end the threat. After a seventh inning error gave Loyola a 6-2 lead, Snider capped his big day at the plate by singling home two more runs. In the bottom of the seventh, Holcomb allowed another walk, with one down, but got the other Patriots who stepped to the plate to finish off the win. Although his seven walks created some trouble for Holcomb, he allowed just five hits as he threw 126 pitched and finished off the complete game effort. He had four strike outs. Tipton, Pika (4), Iashak (7) and Stakias; Holcomb and O. Reynolds.